For the fifth year in a row, twenty final-year students of faculties or master studies and their mentors visited the leading companies in Serbia, within the “AmChamps“ mentorship program of American Chamber of Commerce (AmCham). 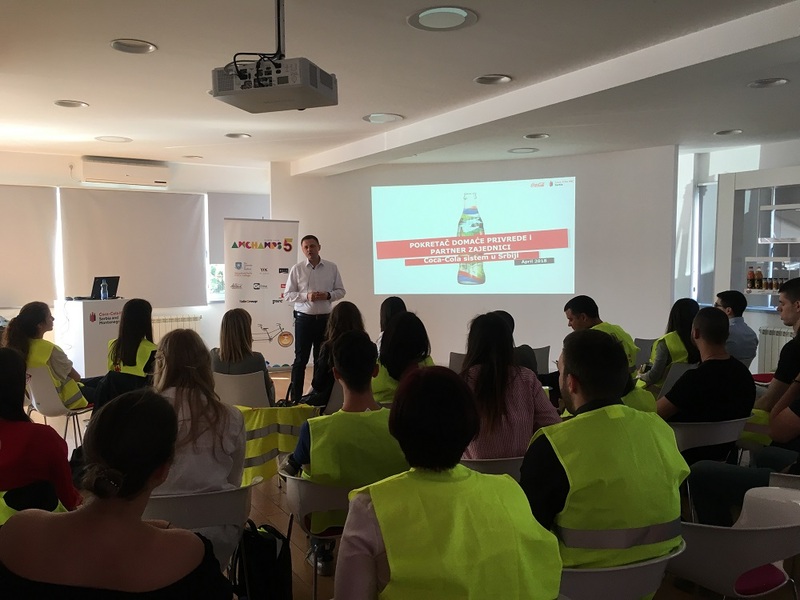 This time they were welcomed by representatives of Ball Beverage Packaging Europe and Coca-Cola HBC Serbia, who provided future young leaders with an opportunity to learn about their operations in the Serbian market. The AMCHAMPS SERBIA – YOUNG LEADERS OF CHANGE annual educational program was initiated by AmCham in 2014, with an aim to support education and development of young people – leaders, who will be at the helm of the business community in Serbia in the upcoming period, through a synergy of the academic and corporate sectors. This program enables university students and managers to work in pairs with mentors and thus gain new knowledge and develop business skills and abilities that will help them as potential recruits in the labour market. Over the course of one year, the participants attend workshops and lectures where, in addition to advice, they also get specific tasks and projects. The program of professional growth and development, AmChamps, has been attended by 200 young people – managers and students.